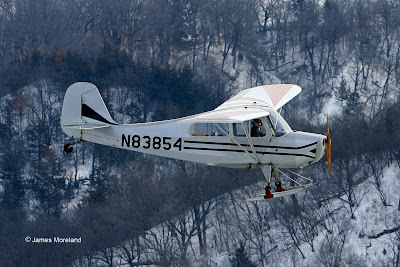 Boone Aviation News: 2011 BAPA Holiday Gathering! The 2011 BAPA Holiday Get-Together will be on Tuesday, December 6th, at the Iowa Stater Restaurant in the Gateway Hotel in Ames, IA. The Gateway is at the intersection of Highway 30 and University Boulevard...close to Jack Trice Stadium and Reiman Gardens. Social hour begins at 5:30 pm, with dinner from 6-7:30 and our annual gift exchange/program afterwards. Please bring a nice gift in the $10 range that is labeled for a man, a woman or either. Feel free to get creative with your gift...both on the inside and outside. No gag gifts please...we want real stuff! Dress is holiday casual or Cyclone fan, as you desire. Below is a link to the Iowa Staters' menu, which you will be ordering off of. They are not offering their Tuesday night specials, but no worries...they have a wide range of items to choose from to fit every budget. And the food is very nice. Please bring a plate of Christmas cookies or bars to share during the gift exchange. Feel free to encourage new and potential BAPA members to attend, and also invite friends and family to join you to meet some really super-duper people and have a fun evening of friendship and food. Please RSVP to Lisa at lkkuehl@gmail.com or (515) 795-2306 by NOON on FRIDAY, DECEMBER 2nd. The restaurant would like to know how many to plan for. Children are welcome! If anyone has any ideas for a program, entertainment, contests, etc. to liven up the party, pass them along to me or President Fran. As always, weather dictates, so keep an open mind in case we are having a winter weather event. But let's not go there! I predict a lovely evening in Ames. See everyone on the 6th!